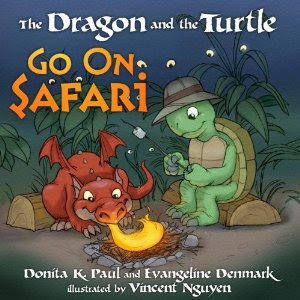 If you have a child between 4 and 8 years old who likes talking animals that tackle kid size problems, then you'll want to read The Dragon and the Turtle Go on Safari written by Donita K. Paul and Evangeline Denmark with illustrations by Vincent Nguyen. This pair of friends plan an overnight adventure at the base of Mount Sillymanborrow. As you can expect, silliness reigns supreme at their campsite. Somewhat predictable with the requisite bumps and sounds in the night, youngsters will nonetheless get caught up in the suspense. Determined not to chicken out, the friends help encourage one another to be brave. The book is not expressly Christian; no references to God or the Bible are within the story itself. The inside back cover, however, has a short discussion guide where a Bible passage is shared. A parent can certainly make additional spiritual connections to the story in how the characters exhibited courage, compassion, and determination. This book would make a fun read while camping in your own backyard or on a real camping excursion. The eyes peeking through the foliage might be a bit scary for the littlest readers (you can see an example right on the front cover) but that can serve as a discussion starter about things your child may fear and how often what we fear is only in our imagination. Positive qualities in the book included friends who help one another, friends who distract each other from their fears, and friends who encourage each other not to give up. Roger makes reference to telling Padraig the story about Sillymanborrow but when morning comes he's too tired to share it. Thankfully, you'll find the silly story included at the back. 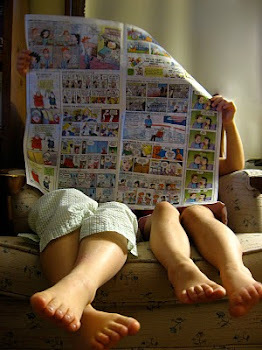 It's sort of a brain teaser that kids might also enjoy acting out. The Dragon and the Turtle also have their own website filled with games and puzzles for kids. Disclaimer: We received a free copy of this book from Waterbrook Multnomah Press as part of their Blogging for Books program. No other compensation was received. Hi Jill. Now following ya! Thanks for stopping in this morning. You were already in my reader, but for whatever reason, I hadn't ever GFC followed you. Now I do!